If you’re still using T12 bulbs to light your business, you’re not alone. However, you may be in for a surprise: The magnetic ballasts used to light many of these bulbs are being phased out and many manufacturers have already discontinued their production, meaning that you’ll need to upgrade sooner rather than later. The technology that lit the first T12 bulbs over 70 years ago remains basically unchanged today, and there are many ways to light your space more efficiently. T8 and T5 systems can give you similar or even better light output and quality of light, all while saving you a substantial amount in energy costs. There’s probably a good reason that you’ve stuck with your T12’s. Perhaps the lighting scheme you’re using works well and you’ve never needed or wanted to change your fixtures. Maybe you’ve been concerned about the cost of buying new fixtures, or the disruption to business that would result from installing them. One option is to simply replace the ballast and the bulbs, but while you’re already pulling the fixtures apart, it’s worth considering taking one more step that can really help you save on energy costs. 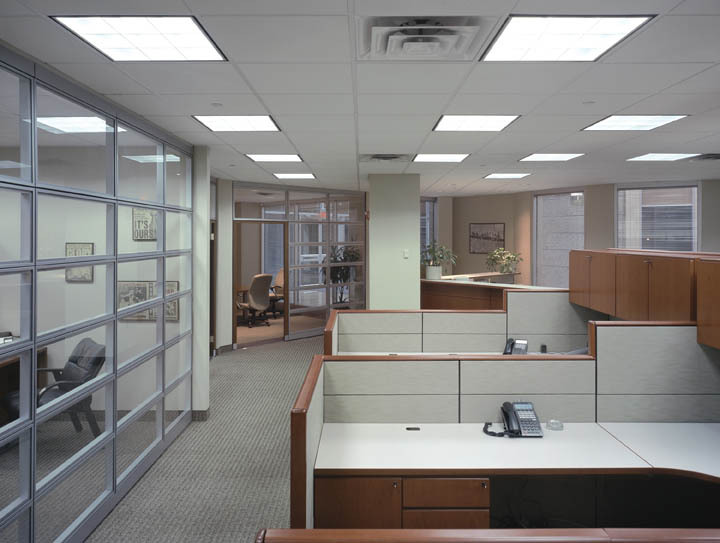 Lately, a great deal of the discussion around improving general lighting has been focused on LED. This focus is certainly not unwarranted, but it may have come at the expense of a few alternative options that may be better suited for certain applications. One of those options is induction lighting. If you’re lighting a commercial or industrial space and looking for a “set it and forget it” way to save energy, induction is definitely worth considering. Functionally, induction works in a very similar manner to a typical fluorescent bulb. The primary difference is that induction sources do not use electrodes to ignite the lamp. Instead, fluorescent induction bulbs have a large electromagnet, which is usually wrapped around one segment of the bulb. This serves as an induction coil. There is also a pellet of amalgam (composed of solid mercury) inside of the bulb. The induction coil produces a strong magnetic field which travels through the glass and excites the mercury atoms in the amalgam. The mercury atoms emit UV light, which is converted to visible light by the phosphor coating inside of the tube.